When it was released last summer, James Gunn’s Guardians of the Galaxy filled us with a lot of emotions. 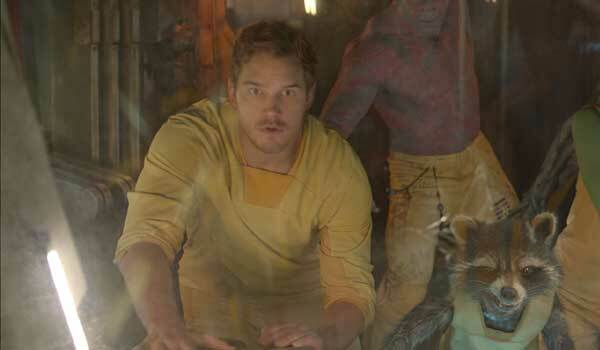 Certainly chief among them was exhilaration, as the movie is incredibly action-packed and fun, but audiences also got doses of empathy/heartbreak (especially during the sequences with Chris Pratt’s Peter Quill and his mother), and even a bit of perplexity. In addition to wanting to know what happens to the wonderful group as a whole, the film also sets up an interesting mystery, making us wonder about the identity of Star-Lord’s father. As we’ve been doing with movies ranging from Donnie Darko to American Psycho, we’ve now decided to turn the attention of our "Ending Analysis" series to Marvel Studios’ great space adventure. Who is Star-Lord’s father? We’re going to break it down. On the surface, Guardians of the Galaxy’s ending is honestly and awesomely about the power of friendship being able to defeat evil… but that’s undercut just slightly by a big reveal in the film’s final minutes. After defeating Ronan The Accuser (Lee Pace) by teaming up to control and utilize the Power Stone, the members of the Guardians of the Galaxy team return to Nova Headquarters on Xandar – and are greeted with some interesting news. As Corpsman Dey (John C. Reilly) explains, when Peter was first arrested earlier in the movie, an anomaly was discovered in the hero’s nervous system, and when that anomaly was investigated, it was discovered that Peter isn’t actually entirely human. Instead, he is only "half-Terran," with his mother providing his human genes, and his dad’s side adding something special to the mix. It’s unclear what species Peter’s father is, but Nova Prime (Glenn Close), describes him as, "something very ancient we’ve never seen before." Very intriguing indeed – though unfortunately also incredibly vague. Gamora (Zoe Saldana) puts the puzzle pieces together that it was Peter’s abnormally advanced DNA that was what allowed him to handle the Power Stone (in addition to the help of his buddies), but sadly that’s where the information trail ends. It’s at that time that Drax (Dave Bautista), Rocket (Bradley Cooper), and the re-growing Groot (Vin Diesel) enter the room, and the five teammates get into the restored Milano to fly off to new adventures. As he sits in the driver’s seat, Peter promises a trip that’s both a bit of bad and a bit of good – but presumably also a bit of finding out who his dad is. In retrospect, it is a bit weird how quickly Star-Lord moves on from the bombshell news that he’s not entirely human, and is interestingly more blown away by his mother’s note and "Awesome Mix Vol. 2." That being said, the whole situation with the character’s mysterious parentage is clearly being set up as something that will be a part of the story in Guardians of the Galaxy Vol. 2. Before we jump ahead to that, let's look back at clues in this movie on the next page. The ending of Guardians of the Galaxy is where the mystery of who Star-Lord’s dad is really comes to a head, but as any fan who has watched the movie 20-30 times already will tell you (and I assume that’s most of you), it’s far from the only clues about it in the movie. You’re so like your daddy. You even look like him. And he was an angel, composed out of pure light. Peter’s grandfather (Gregg Henry) is quick to change the subject (it sounds like he’s heard this story before and thinks it’s crazy talk), but with the information we learn at the end of Guardians of the Galaxy it becomes much more significant. In what way does "angel" fit as a descriptive term? Is it wings, or a halo? And is the guy actually made out of energy? It’s not outside the realm of possibility. Yeah. That guy was a jackass. What can we glean from this? Beyond the obvious, it seems that Peter’s dad was keeping close eyes on his son all through his childhood – as indicated by the fact that he happens to send guys to pick the kid up right after his mother passes away. Also, knowing Yondu’s personality and the kind of people he likes to hang around, it’s entirely possible that the father is either a more straight and noble character, or somehow an even more despicable kind of dude. Ready for a few educated guesses? So Who Is Star-Lord’s Dad? James Gunn has promised that he doesn’t have plans to "Black Box" the identity of Star-Lord’s father in Guardians of the Galaxy Vol. 2, and has promised that the character’s presence will be more about the relationship with Peter than the revelation of who he is. That being said, this is a mystery that has plagued us for almost a full year now, and its nature has led to some very intense speculation (especially because Gunn has taken Quill’s father from the comics, J’Son of Spartax, off the table). As a result, we have a few informed guesses about who it could be. If I were putting down money about Star-Lord’s dad in Guardians of the Galaxy Vol. 2 right now, every cent would go towards my number one guess: Starhawk. In addition to being a part of the original Guardians of the Galaxy from the 31st century, the character has been described by James Gunn as being one of his favorites from the comics, and he has specifically said that he will be bringing his favorite character to the sequel. Plus, the guy is super powerful and has a set of impressive "wings" and a doo-hickey on his head that could be confused for a halo. Basically, I’m saying that describing him as an angel physically is pretty spot-on. 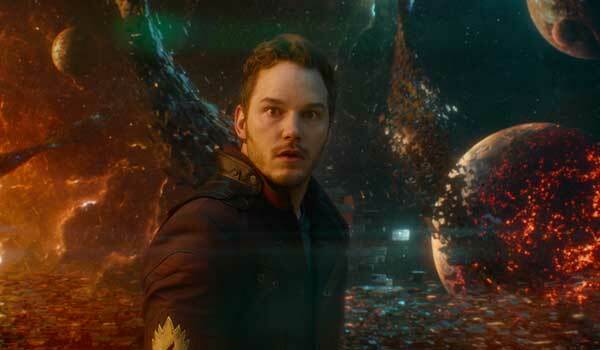 And wouldn’t it make sense on some level for Star-Lord’s dad to be a guy named Starhawk? Another popular suggestion that has been speculated about by fans is Adam Warlock. This idea has largely been driven by the fact that the guy is incredibly powerful (which would explain Star-Lord’s DNA boost), and that in the comics he is the possessor of the Soul Stone – one of the key Infinity Stones that the Marvel Cinematic Universe has been slowly revealing. Unfortunately, this theory took a big blow late last year. While many believed that they spotted Warlock’s famed cocoon from the comics in The Collector’s lair, James Gunn has said that what’s shown in the film is not intentionally the cocoon – merely something from the comics that the filmmaker thought looked cool. The wild card that I will throw into the mix is the aforementioned Yondu Udonta. Admittedly, this doesn’t make a ton of sense when you consider the "Jackass" line from the third act of the movie, but there is some reason to believe that Yondu has been lying for years. For example, there is a very specific line thrown into the movie where there blue alien describes himself as being "pretty as an angel" – an interesting choice of words when you remember Peter’s mother’s description of Peter’s father. Also, it could be the real explanation for why Yondu didn’t let his fellow Ravagers eat the young half-human when they first picked him up. For now, the answer to the question of who Star-Lord’s dad is doesn’t have an answer, but that could easily change in upcoming months. James Gunn has completed the script for Guardians of the Galaxy Vol. 2, and there are plans on the books to have the sequel start principal photography in the first half of next year in advance of its May 5, 2017 release date. 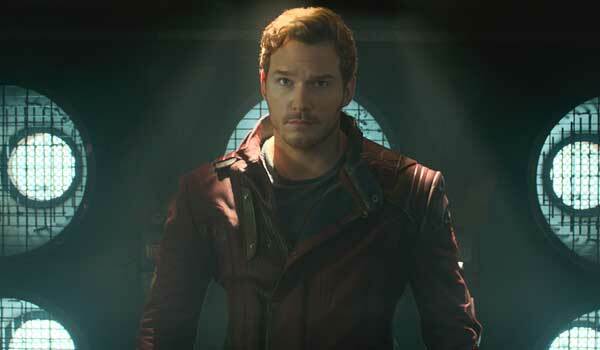 Who Do You Think Is Star-Lord's Father?